The black olives pâté "Olivada" Mas Tarrés is a delicious pate made with the typical Aragon black olives and extra virgin olive oil of the highest quality. As a result an exquisite pate for exquisite tapas, with intense olives flavor and soft texture. 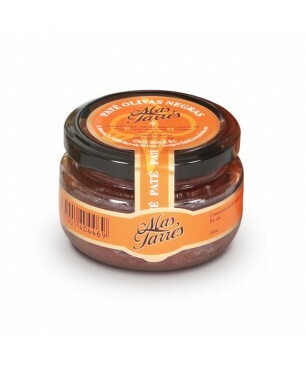 We recommend olive pâté Aragon to combine as a tapa with fresh cheese and for snacks or to mix with pasta.